Where you can eat like a local... In Mexico would! TNT Mexican Restaurant, an AUTHENTIC Mexican food restaurant perfect for the whole family. Come try our delicious plates cooked with secret old fashion family recipes that have been passed along for generations and ALWAYS made to order. Enjoy traditional Mexican food from Jalisco such as tacos dorados, pozole, menudo, tortas ahogadas, carne en su jugo, cocido and much more! Our famous Torta ahogada made with real sour dough bread goes very well with our handcrafted Michelada! Perfect year round! Our traditional menudo available 7 days a week! With or without hominy and with or without pata! Our fresh mariscos are full of flavor! 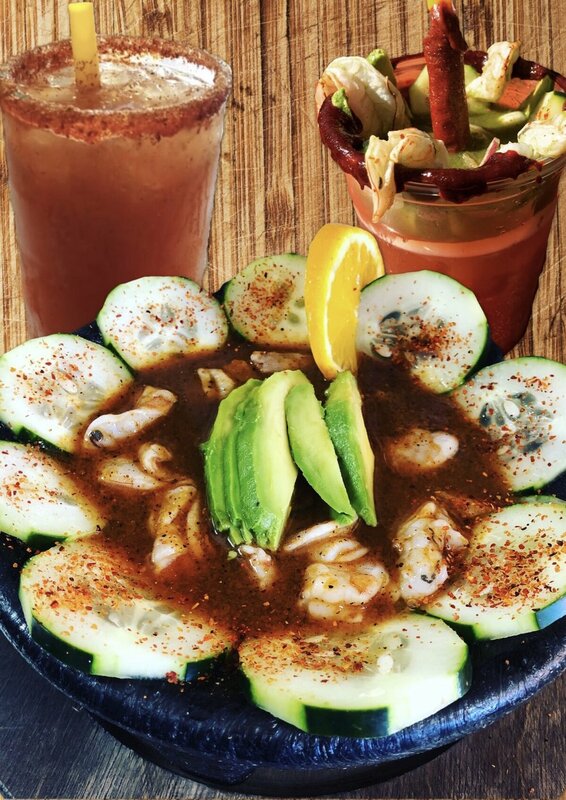 Try our spicy red aguachiles, ceviches, cocktails, prepared oysters and more! Angelica, one of Elvira's five daughters, followed her mother's passion for food. Bringing her own style of cooking mixed with the mother's recipes brings us delicious food with spices that explode in your mouth. With the both family members in the kitchen, this brings us excellent authentic Mexican food for everyone to enjoy! Elvira "cuca" Rodriguez grew up cooking with old fashioned recipes as her mother ran her own restaurant for over 20 years in the small town of Sayula, Jalisco. She gained her skills and secret recipes helping in the kitchen. Still in her 70 years of age, you will still find her cooking our special dishes every day of the week non-stop. Her passion for hard work and food inspires the rest of the crew to work harder and with passion.